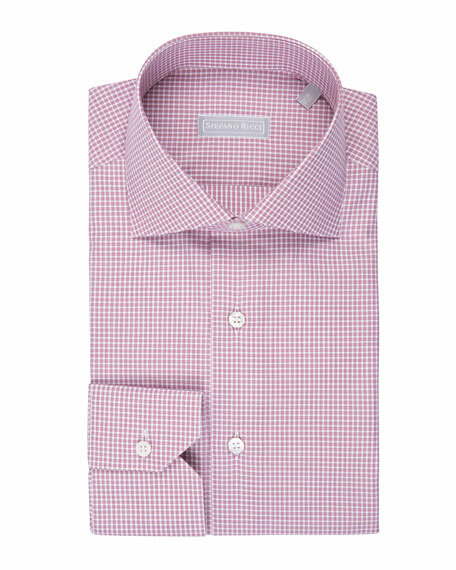 Stefano Ricci shirt in fine-striped plaid. Italian designer Stefano Ricci has been creating extraordinary men's clothing for more than 30 years. The Stefano Ricci line is known for exquisitely tailored suits, dress shirts, formal shirts, ties, scarves, cuff links, and more. He seeks to combine the sartorial traditions of Florence with a modern interpretation. For in-store inquiries, use sku #2277909.